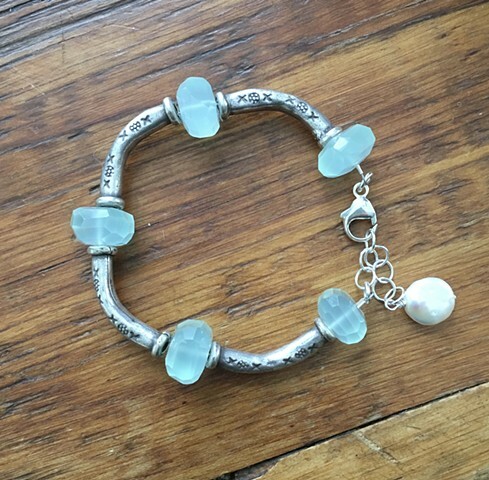 Blue chalcedony nuggets and fun silver cylinder beads make this sweet bracelet. Sterling silver lobster claw closure with 2" sterling extender. Fresh water pearl charm. Approx 7 1/4-8 1/4"